Advertise your business or service on Bandwerkz.com and get musicians that live and play in your area to see your products and services. Our users are musicians from every style of music. 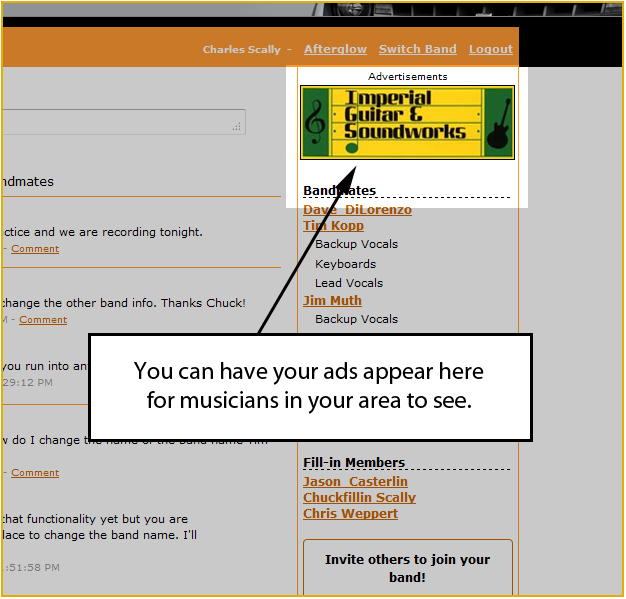 We can target musicians in your area or across the country if that is your target audience. Bandwerkz advertising rates are among the best in the industry.